It’s the miracle of human dedication. starts you on the road to recovery. Annai Arul Hospital located at old Perungalathur is a multispecialty hospital of 100 bed capacity, which provides the complete range of outpatient and inpatient treatment. 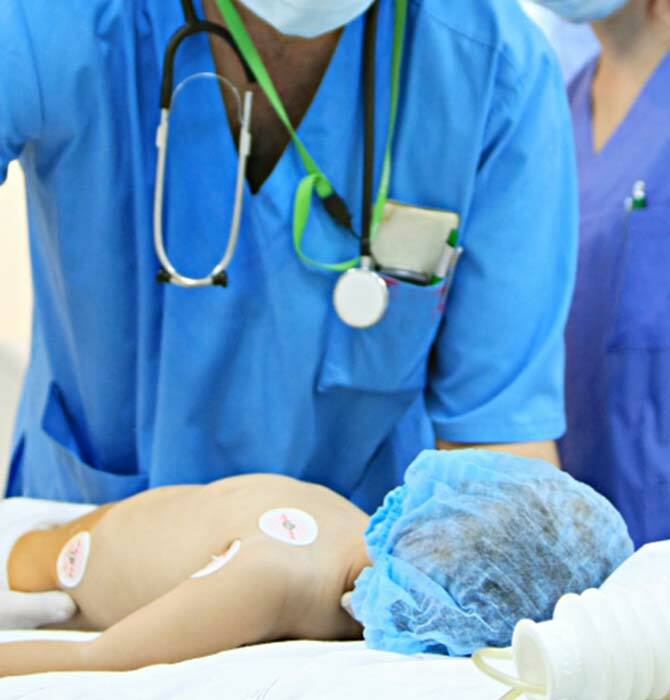 The handpicked team of medical experts provides the latest and finest medical care to each and every patient reciprocating the trust they have placed in Annai Arul Hospital and its medical team. Patients are the focus of everything that’s done in the hospital be it the finest of facilities or the care and concern of each and every staff. 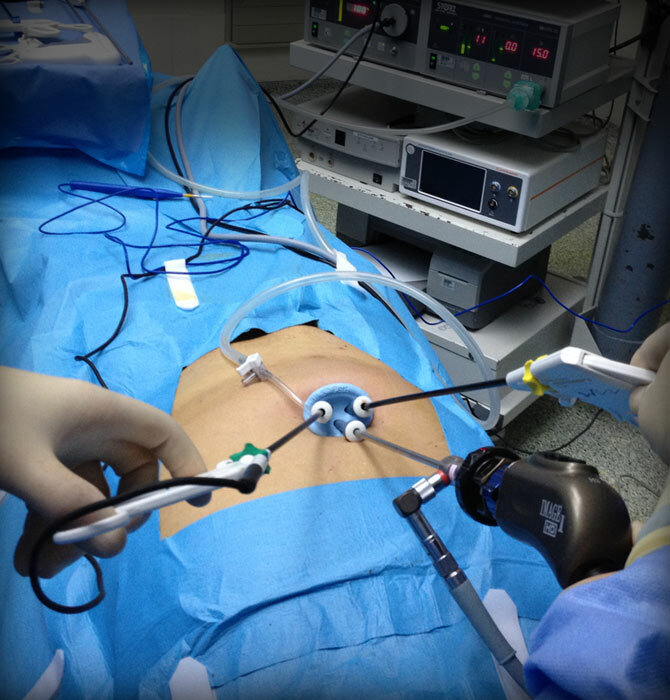 We have one of the finest Gastroenterology Department which offers state of art endoscopic procedures for gastrointestinal bleed, gastrointestinal cancers, foreign body removal etc. We at Annai Arul Hospital are committed to care for women of all ages, ranging from clinical services, pre and post pregnancy care and specialized gynaecology treatments. the Department of Obstetrics and Gynaecology comprises of very talented and multidisciplinary team. The orthopedics department at Annai Arul Hospital specializes in the treatment of musculo-skeletal system disorders. 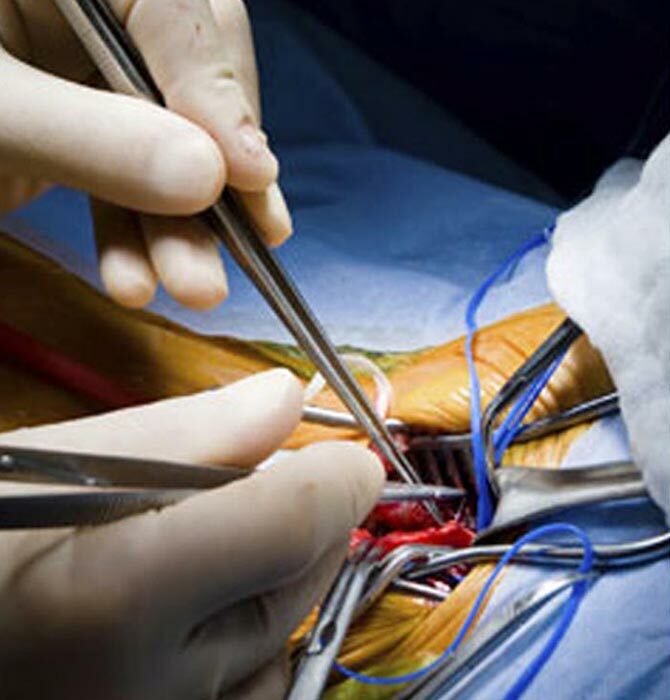 It offers Minimally Invasive Surgery (MIS) for Joint Reconstruction and number of rehabilitation programmes includling arthroscopic procedures for shoulder, elbow, knee and hip injuries. The automated dialysis machines and the Reverse Osmosis water plant for pure water supply, ensures that dialysis services at Annai Arul meets highest standards of safety and care. Advanced Dialysis Machines operated by highly skilled technicians offers Bicarbonate Dialysis with RO Water, Peritoneal Dialysis and Continuous Ambulatory Peritoneal Dialysis (CAPD). 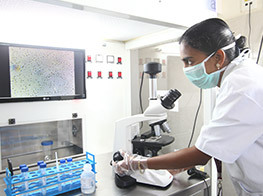 At Annai Arul Hospital we believe that our responsibility is not finding solutions for your health problems alone but extending safe, advanced and totally reliable medical services. 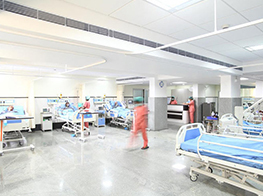 Staffed 24x7 by trained nurses in intensive care and duty doctors the unit is equipped with host of facilities including advanced air filters, ventilators, ICU dialysis beds and Advanced Modular Monitors. 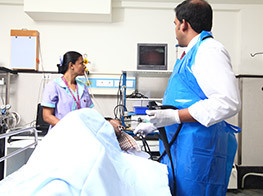 One of the specialty departments in Annai Arul Hospital is the Gastroenterology department and the Endoscopy Suite is the facility that heightens the efficiency of the department. This is an Intensive Care Unit exclusively for newborn babies. The neonatal care unit provides expert, round-the-clock care for newborn babies who are ill or born prematurely. At Annai Arul hospital we have good success stories after the procedure is done. With dedicated Obstetrics and Gynaecologist we provide the best satisfactory trusted care. 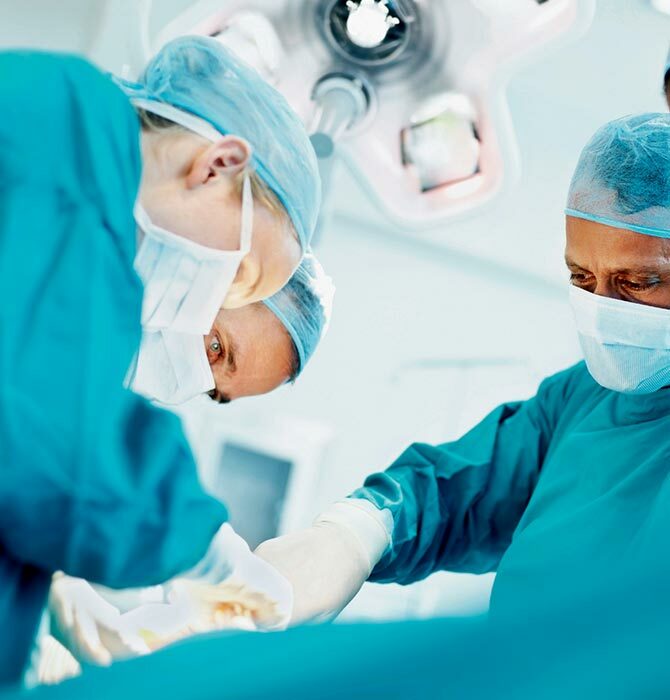 At Annai Arul Hospital there are modern, well equipped and spacious surgical suites that caters to various medical emergencies and routine surgical procedures. 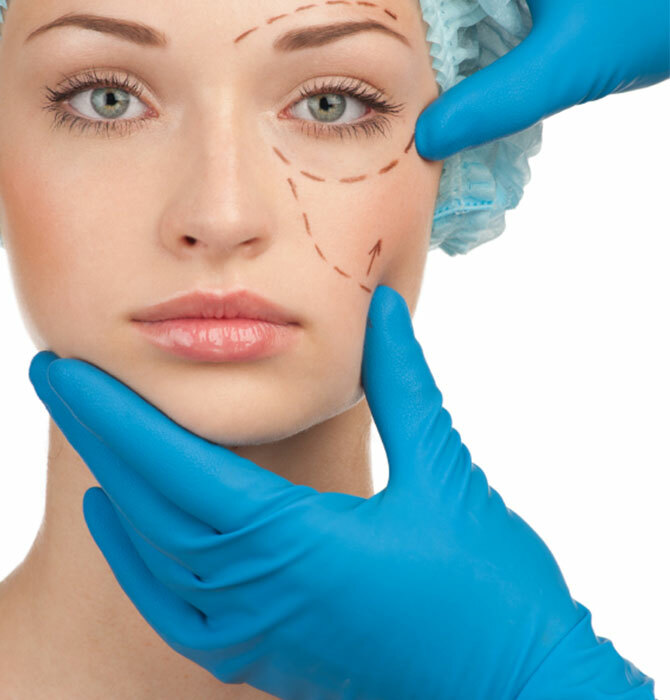 The Specialty Surgical facilities are state-of-the-art, and the surgeons are some of the best in their speciality. A latest news on all that is happening at Annai Arul Hospital. We are Conducting Hernia & Piles Camp at AAH from 01 - 09 May, 2019. We all are aware of cardiac arrest, which simply means the heart suddenly stops to beat. What the patients have to say about the care and experiences at Annai Arul Hospital. I had my mother to be admitted in Annai Arul Hospital for SAH which was treated by Dr.Santhanam. He was very professional and courteous and explained each and every procedure in course of action. Dr.Venkatesh, nephrologist who did a excellent job as well in course of treatment with his explanation related to health condition of patient. In course of admission DMO Dr.Indhu, the ward nurses, ICU nurses, HK staffs, Physiotherapist were very good and did a great job.From care to cleanliness, ambience to food services for patients everything was satisficatory. Hospitality was too good. My father has come for surgery. Now he has recovered speedily because of staff’s Continuous visit, caring and pleasing words has healed my father perfectly..
First of all I would like to thank all the staff for what they did for us. My Mother’s medication was successfully done and now she is feeling much better and hoping the betterment for her entire life too. Nurses are very kind during the treatment. Doctors, nurses and all staff was very kind. Food was delicious. Thank you ! All the services are good. Treatment provided by all staff nurses and doctors was excellent. I like Dr. Joseph’s treatment approach, he is very good. Care from housekeeping staffs was also very good. Excellent services. Good hospitality. Very good nursing care. Doctors are very much approachable and kind. The follow up of doctors are an excellent tool that made me very much comfortable and resolved my health issues. The day and night direct care of Dr.Venkatesh is very much admirable. During the admission, we haven’t had any hope of surviving because the blood clot was close to brain. By the steps of Dr.Varun and Dr.Santhanam’s diagnosis and treatment at Annai Arul Hospital, it was a sudden cure. Money is also reasonable. Well satisfied. Thank you for your treatment and your prayers. Dr.Joseph is an extra ordinary person who listens with lots of patience. His treatment is excellent and all the nurses are service minded. Room facilities are good. Though this is my first visit to a hospital, it fulfilled my satisfaction beyond the expectation. I am very satisfied with the treatment which I received here. All the nurses took good care of me with a smile on their face and they were gentle. They encouraged me well. I’m a miracle to this hospital as I had five percent of living stage during the surgery. Dr. Magesh, Dr. Ramesh and all the other doctors made me to live as a miracle. Even I was stubborn during the treatment, they had always encouraged me for my betterment. I will always recommend “Annai Arul Hospital” for the best service. Thank you Team. We are very much thankful to the hospital authorities as we got very nice treatment. Doctors and all staff are very supportive. The premises of the hospital is totally cleaned and hygiene is maintained here. Thank you so much. First of all I would like to thank Dr.Indira as she is amazing and very kind. For every questions we asked Dr.Indira explained very clearly and in a polite manner. Nurses were good and helpful through out the delivery time. We really thank Annai Arul Hospital especially Dr.Indira and Co-staff. I am very grateful to the hospital -grateful to all the doctors especially Dr.Varun and Dr. Venkatesh. I hereby thank each and everyone of the hospital- the doctors, nurses and Housekeeping staff and management who took care of my mother. I have never seen anyone talking to the patient in angry tone, They treated my mother not only my mother all the patients who come to Annai Arul Hospital as their own. Hats off and a big salute to all in "Annai Arul"
I am so happy to get treated at AAH. All the staff has service minded. Life has all the challenges and problems even in health aspects but the service of mankind will cure and give the power for the patient. I have seen this service from Annai Arul Hospital. Happy and satisfied. Disciplined staff. Excellent service. Immediate response to patient’s needs. Hygiene condition maintained. Good food. The care I received here is completely satisficatory, the medical assistance given were really good and the staff were kind enough to bear my annoyance. I think I found my family clinic. Rooms are well lit and ventilated and this boosts the health of the patients. Very good care by the staff and all the sub staff. 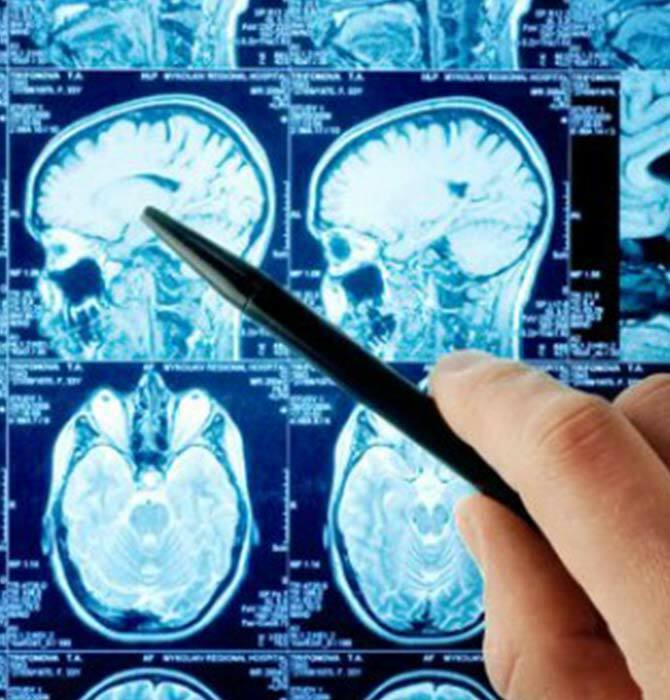 Personalized care for the patient is highly appreciable. Very good location and ambience for the hospital. I was brought in a critical health condition through emergency. Today I have survived after all the treatment and special concern given by the nurses and doctor at Annai Arul Hospital. We are glad that I was brought to this Hospital and I am very much thankful for their best services. The service provided was excellent and nurses treated as if they are treating their own grandparents. I am glad to be here. All the treatments and care given is excellent and I am very satisfied. Medical care was excellent and hospitality was good. Nurses treated with the upmost respect and the process of explaining the treatment is impressive. Staff's treatment was best till the discharge time and total service is outstanding at AAH. Thanks a lot for your support. Every women in labour pain will have a lot of fear but here the encouragement of Dr.Indira and the co-operation of nurses is so excellent. Its a personal satisfaction and its awesome. Everything was extra ordinary. Really happy ! I brought my mother from korattur to Annai Arul hospital for admission through my cousin Joanna as my mother had high sugar level (550) with severe abdomen pain. I thought I had almost lost her as her condition never improved but became worse. I took her to a reputed hospital where she was in emergency without even a blood test done and I had a pay a huge amount for that. I was in a hopeless situation; it was at that moment I was recommended to Annai Arul Hospital and trust me we were at right hands. From emergency to ward every doctor who attended were so good, they clearly explained my mother’s condition, everything was transparent. We are completely satisfied with the service provided. I thank the team of doctors’ especially Dr.Joseph, Dr.Varun and Dr. Deepak. Nurses and other care provider (Canteen & House-keeping) took very good care of my mother. I feel Dr. Joseph and his team of Nurses’ are the best. This team provides good service. I am very happy and satisfied. Every staffs from sisters, ward boys, canteen staffs, all serviced with a smiling face. God bless this hospital and the staffs. We received the best treatment at affordable cost and every staffs from nurses to ward boys were quite friendly and responsible. We were very comfortable as the hospital was very clean. Overall we are extremely satisfied with all the services rendered at Annai Arul Hospital. I definitely have to mention about all the staffs of Annai Arul hospital they are simply awesome. I didn’t get the feel that they were working here but they did everything as if they belong here. They took so much care and took good care of my brother and ensured he is taking proper intake. The professional understanding and bonding from Sir/ Ma’am, developed a relationship between us as Anna and Akka and this created a great bonding between us and that made a great difference. This new relationship made me feel like home away from home. Overall we are happy and very satisfied to have received a very good care!!!!!! Very nice hospital with good facilities, we are very much satisfied. Excellent and kind service by all the sisters; most hygienic and clean hospital; Young and joyful staffs. I feel at home, sometimes more than home, felt very comfortable. Doctors are very patient and excellent service by ICU sisters. A friend of mine referred me this hospital. I’m very much satisfied with the hospitality and all staffs were excellent in taking care of my father. I would like to express my immense thanks to Dr. Jayaprakash for his excellent service. I had my mother admitted at Annai Arul Hospital for surgery and we are very happy and satisfied with the service provided. Also I would like to thank all the supporting staff for their support. I wish to pass on my sincere appreciation to Annai Arul Doctors, Nurses, House-keeping and other support staffs. Staffs are well-trained and highly dedicated to their profession. The attitude and energy that these staff have demonstrated display a sound management and excellent leadership. The cafeteria and other facilities are also world class. The treatment and services provided at Annai Arul Hospital is very comforting. I was admitted there for my delivery and I experienced Mother’s Care during my admission. Dr. Meena Joseph was always motivating, the nurses took very good care of me. From Admin to Housekeeping everyone were very good. In Future I’ll recommend this hospital to all my friends. I admitted my son Simiyan at Annai Arul Hospital and I am completely satisfied with the service provided. 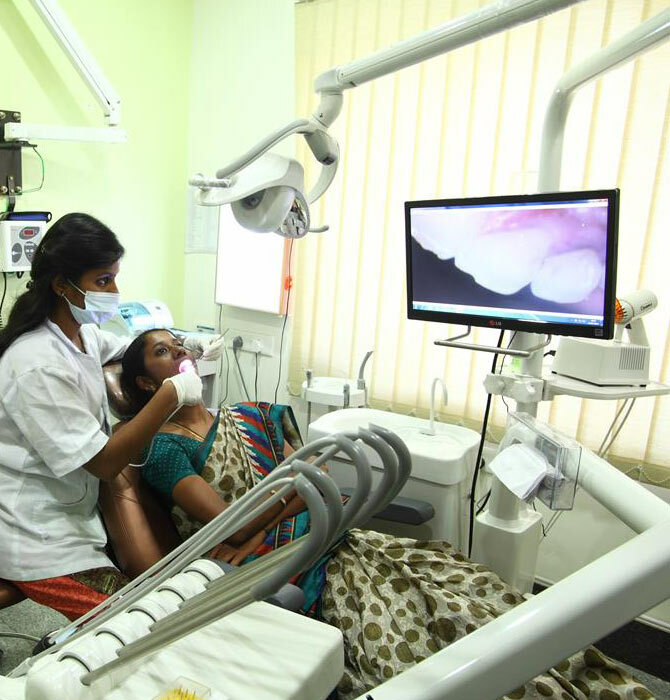 The service here is equal to the ones provided by renowned corporate hospitals in Chennai. Doctor’s visit and examination was done regularly. I felt so comfortable that I didn’t feel like being in a hospital but felt like being at home. Before coming to India we checked the internet about all the hospitals and preferred Annai Arul Hospital because we wanted individualized care. We are very happy and satisfied with the care as it was exactly the way how we expected. Surgeons and Consultants visited us every day and took good care of my father. I am very pleased with the staffs who provide food for us those boys were always smiling and seem to be pleased to do their job. Whenever we were in need of anything coordinators addressed our need on time. We are quite satisfied and happy about the service provided. The service rendered at Annai Arul Hospital is very good. I find the hospital very clean and hygenic. Even my friends have wondered how we found this hospital all the way from Chitlapakkam. Doctors and Nurses provide service without any negligence even in the night. Not just me but also my friends have appreciated the quality care rendered at Annai Arul Hospital. I was brought to the hospital like a baggage of waste and today my health has improved because of Dr. Jayaprakash. Nurses took good care without any hesitation. The intension of this hospital is not to earn money but to do service to the people and I have personally experienced this service. As per the name Annai Arul I received the same kind of unconditional care equivalent to my mothers love from the Medical Director Dr.Joseph to House Keeping professionals. Hope and Care showed to me by Dr.Jayaprakash and Dr. Joseph is so good and I feel happy and satisfied. I brought my brother Mr. Shunmuga Nainar to Annai Arul Hospital with no pulse, I am not exaggerating but I am saying about something that truly happened. He had no pulse, his heart stopped functioning. The effort and speed of the emergency team along with the medical experts Dr. Dejan and Dr. Varun was stupendous. Since the emergency unit was fully equipped they were able to revive my brother and today he is alive in our midst. We are quite lucky to have a good hospital with doctors' like Dr. Joseph and Dr. Jayaprakash who took excellent care of our employees. I should definitely mention that the team at Annai Arul is very good as they give periodical feedback for any queries, sister were dedicated and sincere I should say that Dr. Joseph is blessed with the team. Our employees treated at Annai Arul are very happy. Since the day we arrived from Ethiopia we are amazed by the doctors and nurses care and hospitality. And most of all I want to thank Dr.Joseph for the real willingness he had and the interest of protecting and by reachingout to help my parents with all love and kindness. This is the most important thing to make a patient feel better. Thanks to the care my father is able to recover his health. I have consulted almost every leading Diabetologist in Coimbatore but my issues related to sudden giddiness and elevated sugar level after food was never rectified. But Dr. Varun patiently listened to me, he identified the real cause and explained it very well by changing my medication and today I am doing really great. He is really talented and not to forget Dr. Ramesh who was Simply Awesome while treating the wound on my leg. Am happy that I visited Annai Arul Hospital. The co-ordination between Doctors’ is Simply Superb. I ended up getting a Hip fracture at the age of 95, It was too painful. I underwent a Hip Fracture Fixation and today I am feeling very good because of the first class treatment provided by Dr. Jayaprakash. Nurses took very good care of me and even today I feel satisfied and comfortable with the care and treatment rendered. I had been to different hospitals but the professionalism maintained by the sisters and the dedication from every staffs at Annai Arul Hospital is very good. I am completely satisfied with Dr. Senthil Kumar’s treatment, the hospital facilities and the cleanliness. Everything is V.V.V good. I had severe difficulties such as abdomen pain, nausea and breathing issues but after consulting doctor and medication along with dialysis I am feeling better and able to live a quality life. The technicians’ are extremely professional and treat with care and patience and monitors the entire process. In case of any emergencies during dialysis, the doctor is contacted and appropriate action is taken. In a nut shell, my sincere Thanks to Dr. Venkatesh and his team for improving the standard of my life. "When compared to other hospitals, it’s the best treatment given to the patient round the clock, by the experts. The doctor does not charge any consultation fees; he visits the unit regularly and enquires the status report of the each & every patient. 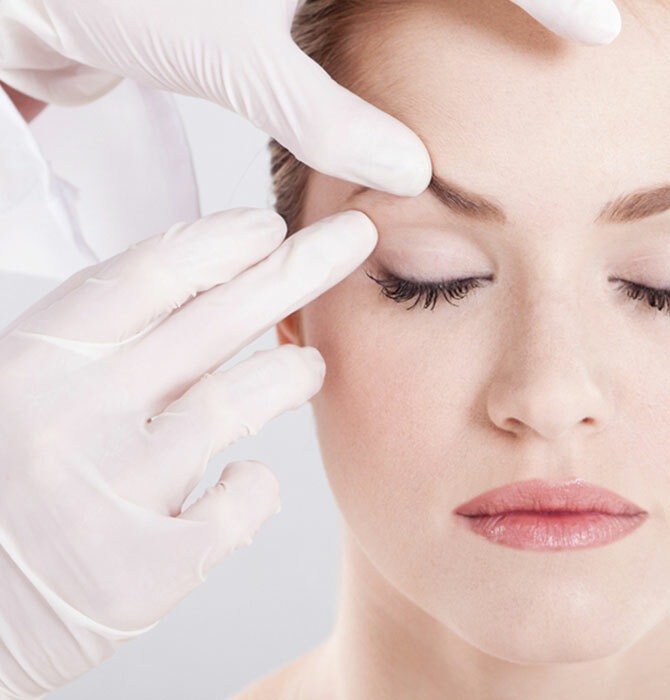 The staffs here are very much service oriented and attend to the patient time to time with a smiling face. Last but not least the hospital charges are very nominal and help the patient to come to this hospital even from far off places." The services are good and satisfactory in all departments; service is on par with other corporate hospitals. Everything is good.